Round-the-clock Reliable Locksmith in Los Angeles. The need for locksmith services has risen over time, regardless of the improvement in technology. Consequently, there is a rise in the number of firms offering reliable locksmith services. Thus, you will have to make the right decision before picking a particular Locksmith. Have you ever thought about hiring a locksmith who provides round-the-clock services? Certainly, you stand for much benefit and convenience when you find a 24 hour Locksmith Los Angeles. Most noteworthy, they come in handy, when you encounter emergency situations. These could be car lockouts, key extraction services, car key cutting & programming services and so much more. At LA Best Locksmith, we are experts in a wide range of locksmith services. When it comes to automotive locksmith services, our technicians are skilled and trained to provide prompt and immediate service. Each of the technicians has the right tools and equipment to restore your situation fast-enough. We have offices across the entire LA. Thus you can call or visit our local offices near you. Most noteworthy, we pride ourselves on being the best 24 hour locksmith Los Angeles. Services from our 24 hour Locksmith Los Angeles. Keys stuck in the ignition or the trunk. And so much more. Below is an in-depth brief about each of these services from 24 hour locksmith Los Angeles. Certainly, most of the recent car models and makes come with utmost convenience. Similarly, many cars are using remote for locking and unlocking their cars. However, after long usage, they are prone to damage. Is your car remote less responsive than usual? If yes, it needs to be reprogrammed, repaired or replaced. Most importantly, the remote has to be in sync with your car’s central lock system. At LA Best Locksmith, we pride ourselves on providing reliable remote programming services. Moreover, when your remote is worn out, we make a replacement with a new one that will open your car as it did before. Nonetheless, we have top brand remotes from reliable manufacturers. Call us or visit our offices for the best of remote programming services. Car key cutting is one of the highly sought after service in the automotive locksmith industry. Nowadays, car key blades break more easily than they did, the FOBs become faulty more often than usual as well. Thus, when you encounter broken keys, LA Best Locksmith is your perfect solution for car key cutting and programming services. We have the right tools and equipment to ensure you get a new set of keys in the shortest time possible. Moreover, our transponder services are equally fast enough. When you are having issues with any key, call or visit us for reliable car key cutting and programming services. Even though you could be attentive and less likely to misplace or lose your car keys, you never know when misfortune comes. Thus you need to keep yourself equipped. It could be in the middle of the night or the wee hours of dawn. We are the best car locksmith Los Angeles. 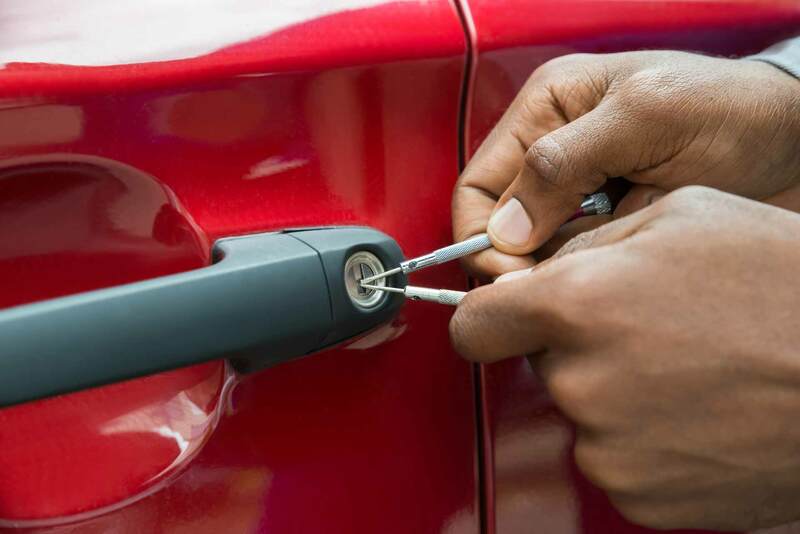 Do not make any unnecessary damage to your car, we will respond to your car lock out situation promptly and rescue you soonest. We have offices spread across Los Angeles for immediate response to your situation. Similar to a lockout situation, you will encounter stuck keys in the ignition or the trunk. Equally, the key could be broken as you try to rescue yourself. Nonetheless, we are available and on wait for your service requests and quotes. Mostly, your keys may get stuck on the doors as well. Thus, you will have to call for immediate extraction. And probably, replacement of your car keys with a new set of keys. When you are experiencing any type of emergency, we are the best 24 hour locksmith in Los Angeles. At LA Best locksmith, we pride ourselves on offering our customers the best prices for all our service packages. Call us to receive an affordable quote for our services. We are licensed, insured and certified to operate over and beyond Los Angeles. Check out our flawless ratings on Google Maps.